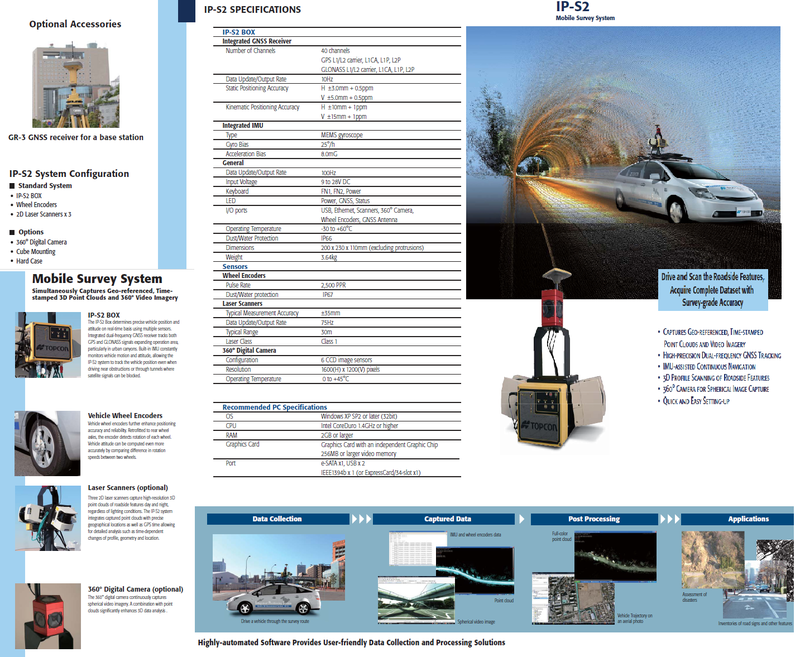 - Fast, cost effective, accurate, and comprehensive spatial data collection solution for GIS & digital mapping applications. 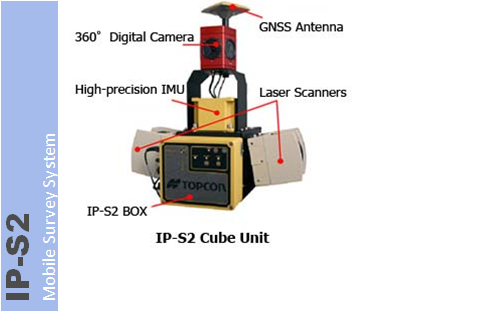 - High-precision Dual-frequency GNSS Tracking. - 360° Camera for Spherical Image Capture. 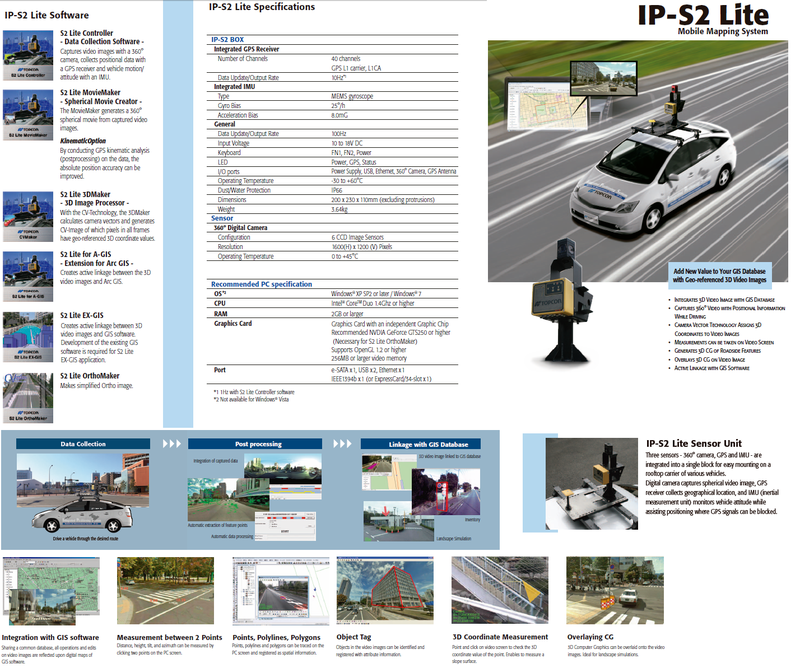 - The IP-S2 Lite captures video and spatial information while driving a vehicle. 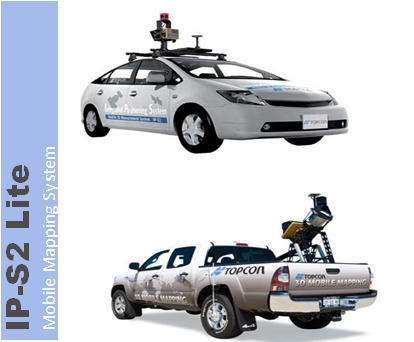 - Integrates 3D Video Image with GIS Database through Active Linkage with GIS Software. - Captures 360° Video with Positional Information While Driving. - Camera Vector Technology Assigns 3D. - Coordinates to Video Images. - Measurements can be taken on Video Screen. - Overlays 3D CG on Video Image. - All-in-one Solution for Superior Mobility with Built-in Digital Camera. - High-speed Scan with 30,000 points/second. 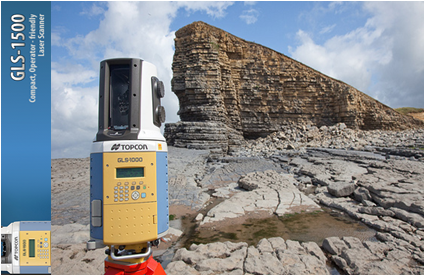 - Topcon Precise Scan Technology provides Clean, Ultra-Low-Noise Scan Data. - Long-Range 500m, 4mm Distance Accuracy at 150m. - Quick Sighting with Jog Dial Controls. - ScanMaster Software for Powerful Data Processing. 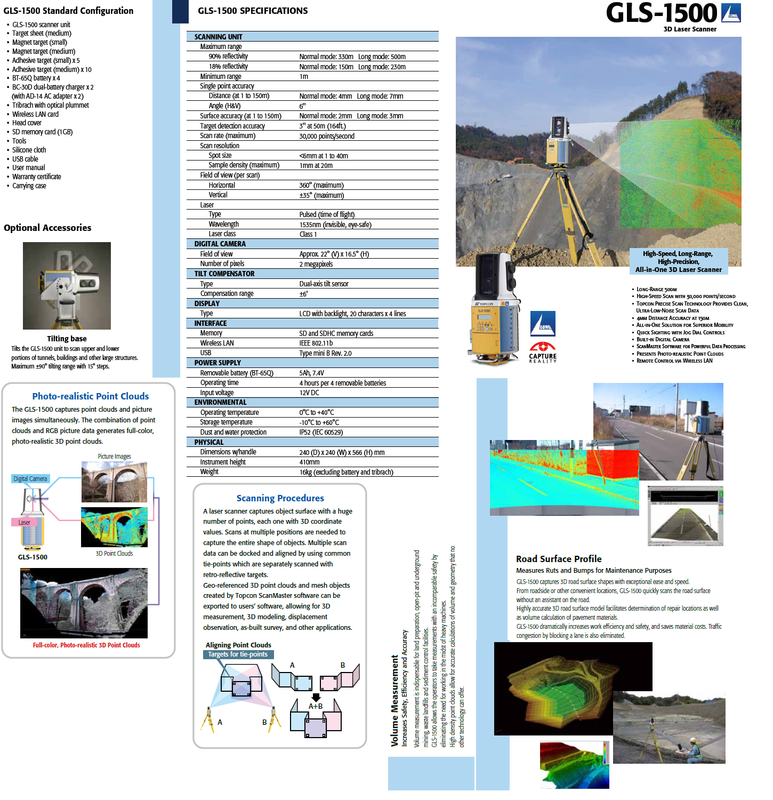 - Presents Photo-realistic Point Clouds. - Remote Control via Wireless LAN.